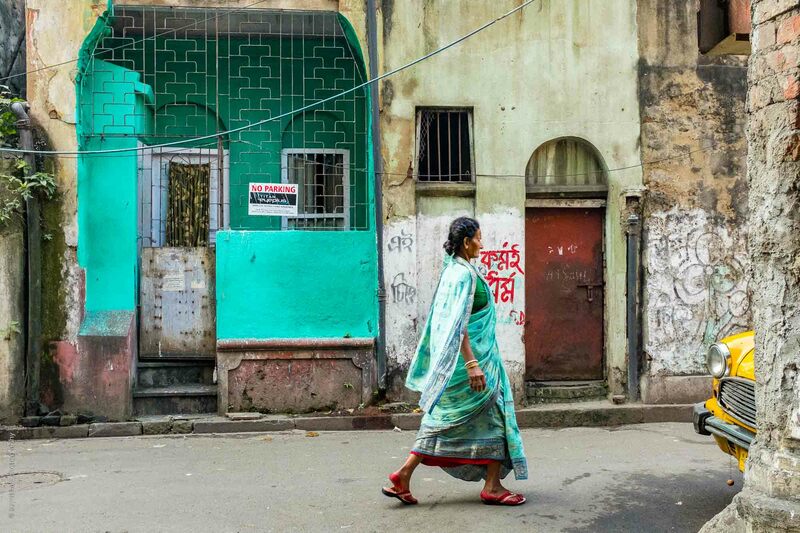 It is a new day in The City of Joy – Kolkata. 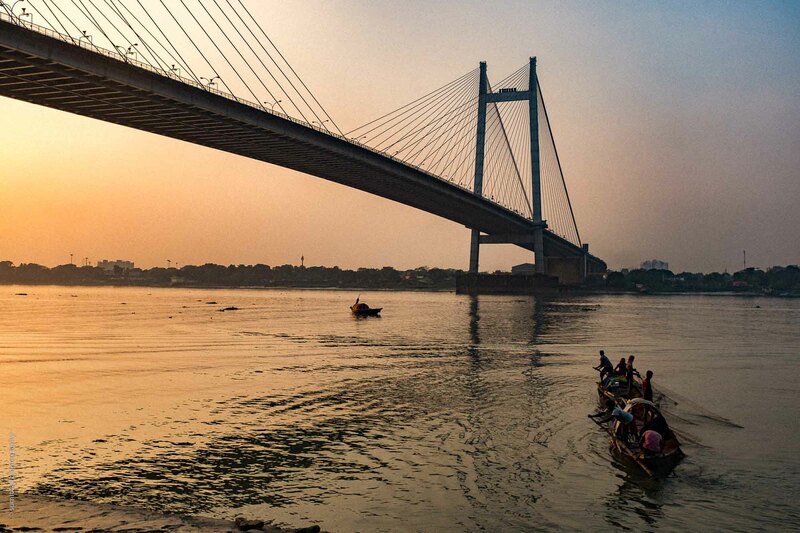 The waters of the Hooghly River are calm as the first rays of the sun lights up the city with its beautiful golden rays. Elsewhere in the city people are already awake and preparing for the day ahead. 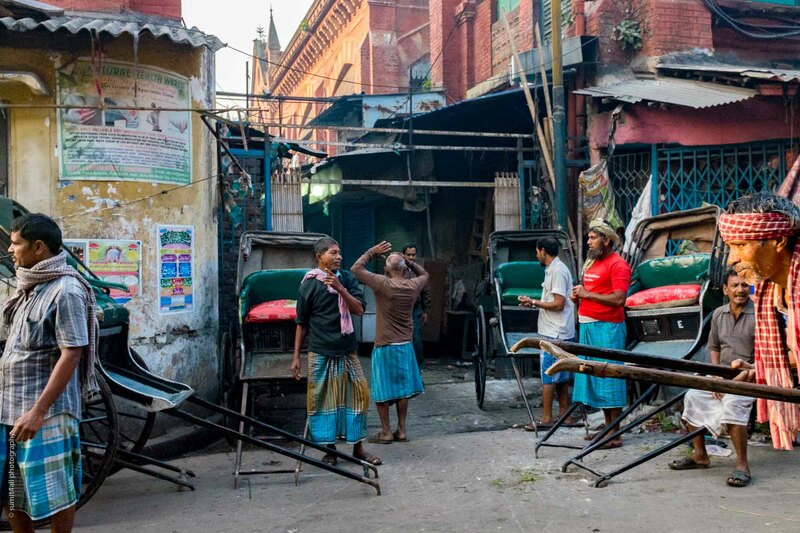 Rapid economic progress has made people migrate from smaller villages and towns to big ones like Kolkata. 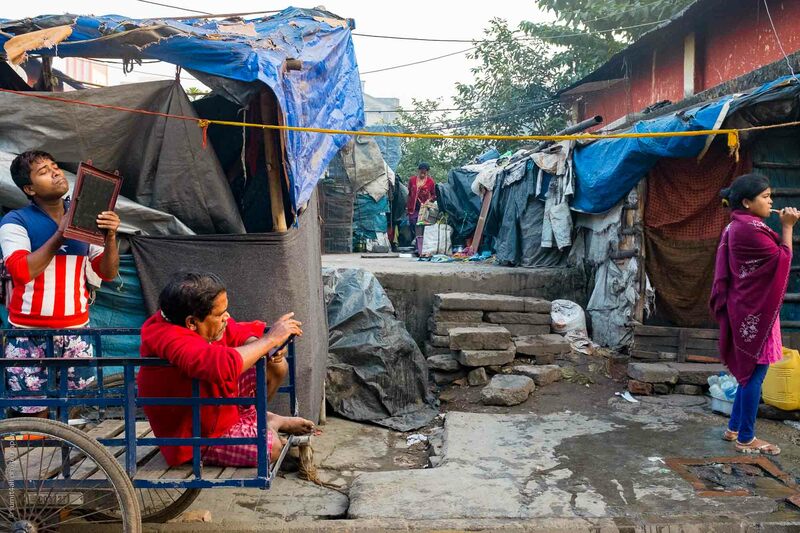 Most of them end up living in tight spaces in the numerous slums and unauthorized colonies found all over the city. 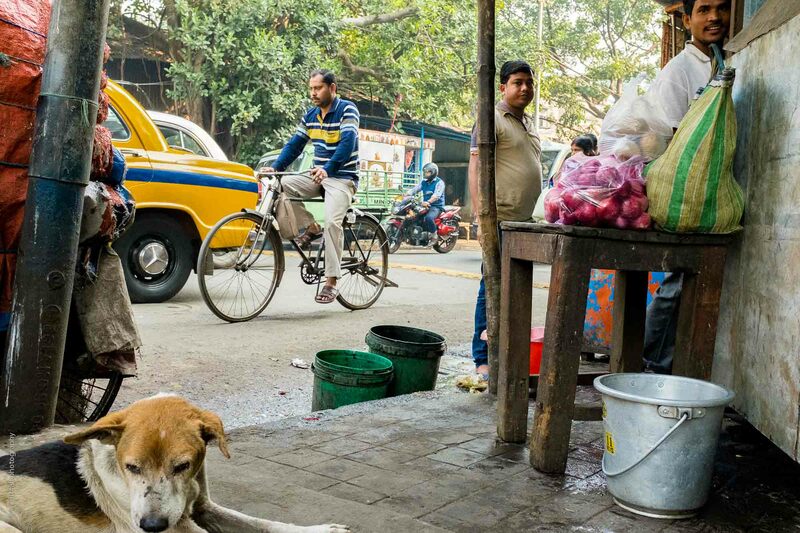 In Kolkata, life is lived on the streets. 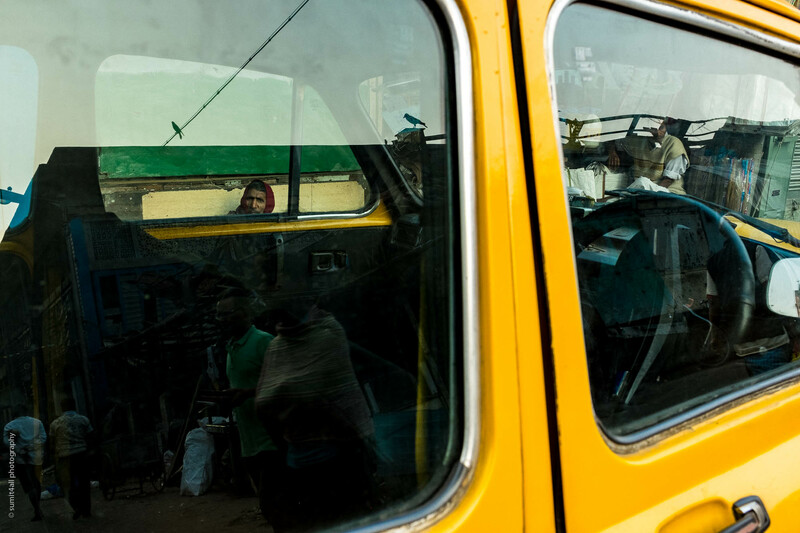 In the morning, you can witness people do their daily chores on the streets – men getting ready for work, women fetching water or preparing food, and children getting ready for school or helping their parents. 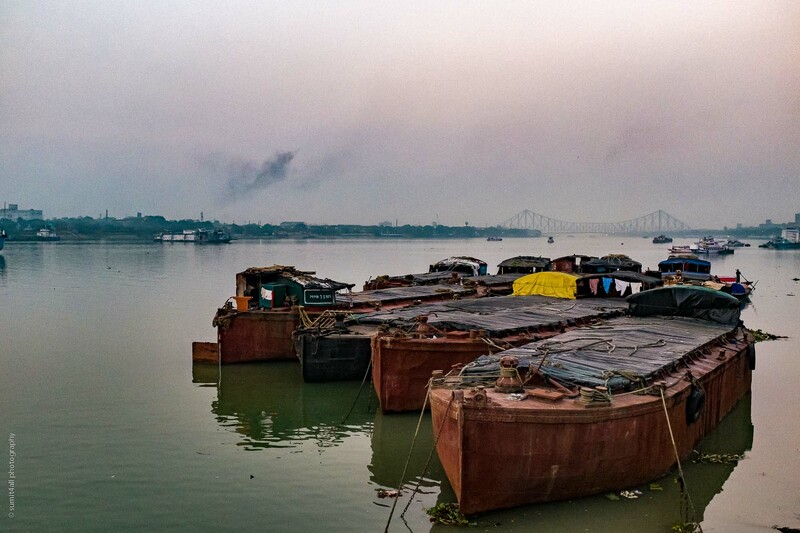 The Hooghly River is the lifeline of the city. 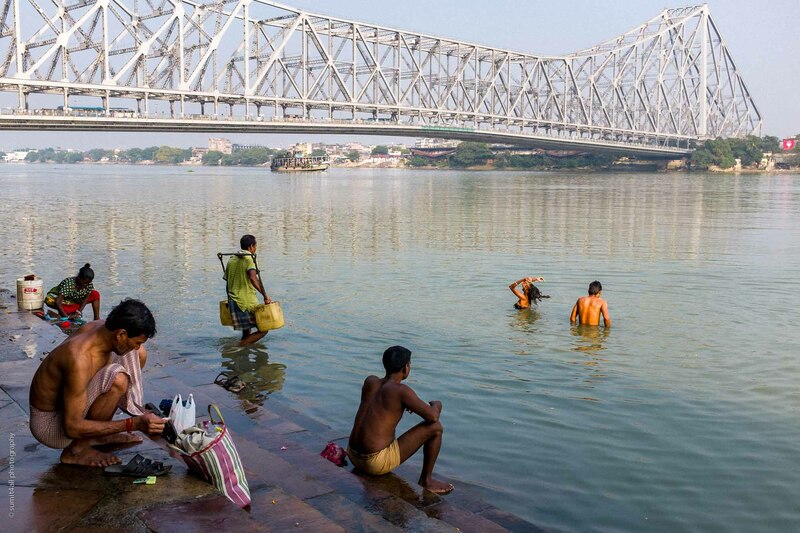 In addition to the streets, you can always witness a lot of action by the ghats near the Howrah Bridge. Every day starts with a chai (tea). Most people have it at home before they leave for work. But there are also numerous options by the road side, in case you want more. 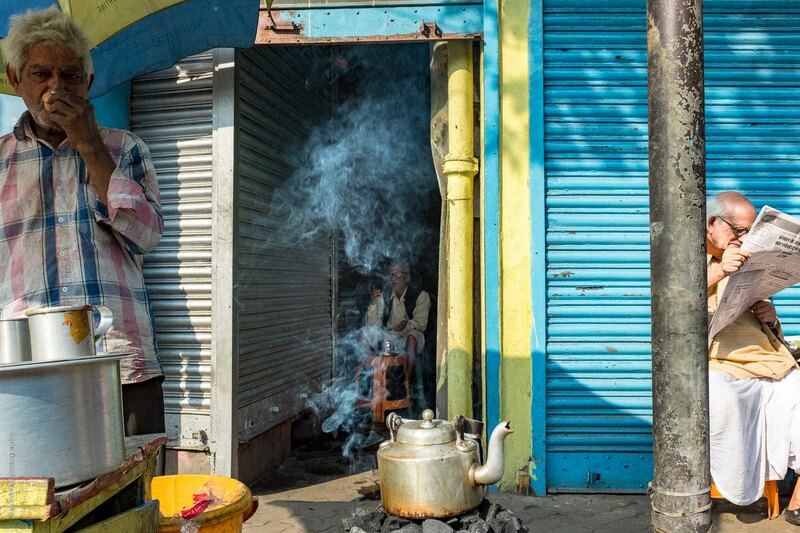 For many, a glass of tea and a couple of biscuits is all they can afford for breakfast. 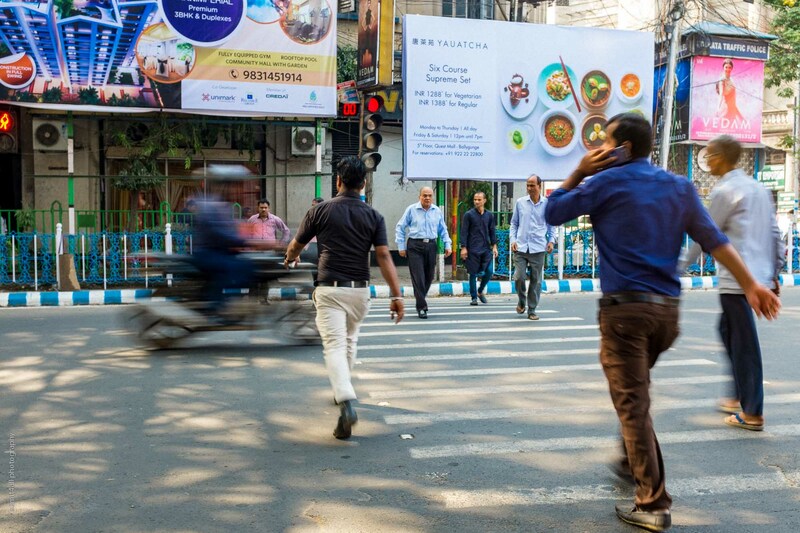 It doesn’t take long for activity to pick up, and the streets start buzzing with all kind of sounds – the constant honking of cars and buses, street hawkers shouting to attract customers, or people shouting and calling for a bus/taxi to stop. All kinds of vehicles can be seen on the streets hustling for space during the morning rush hour, and traffic jams are all too common. 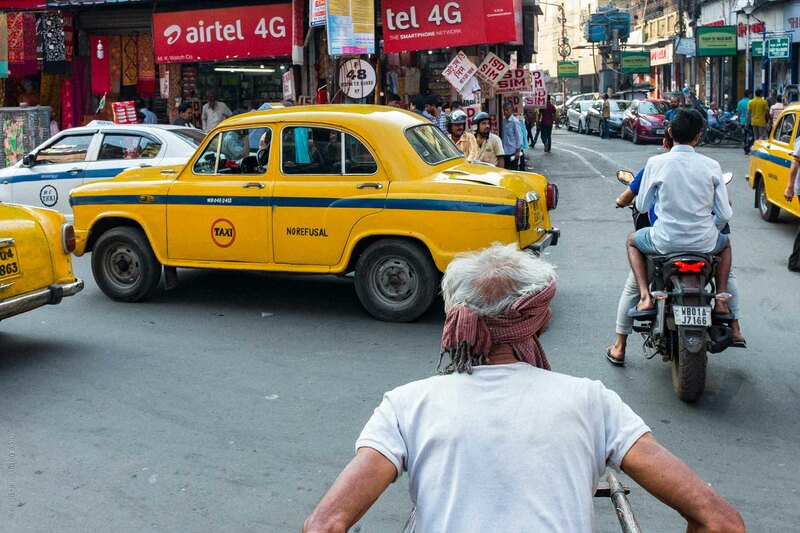 The yellow taxis and the hand pulled rickshaws are the remaining symbols of a colonial past in the city, while others have moved on to modern motorcycles and cars. By the mid day, the city is like a kaleidoscope of color. It is not as hectic as it was in the morning, but it is still very busy. Now is the time when shops are being cleaned, women step out to buy groceries, and restaurants are busy preparing for lunch hour. 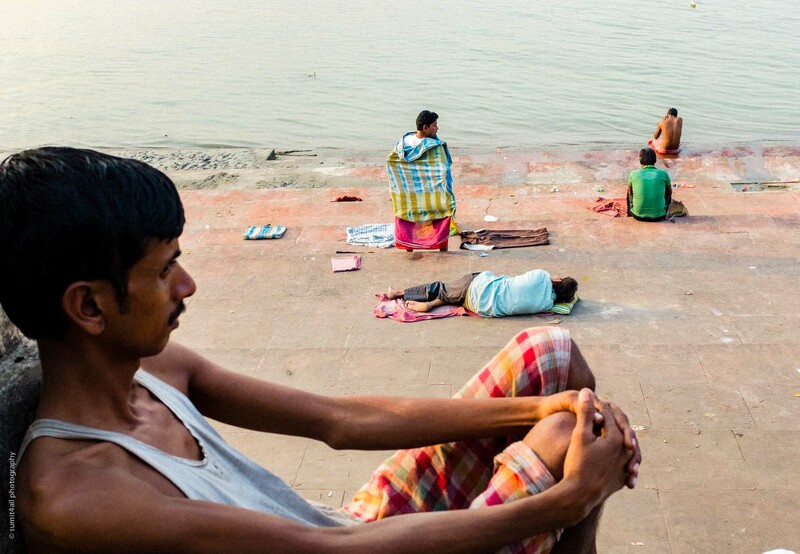 By the river, the mid afternoon presents an opportunity for many to rest and take a short nap. 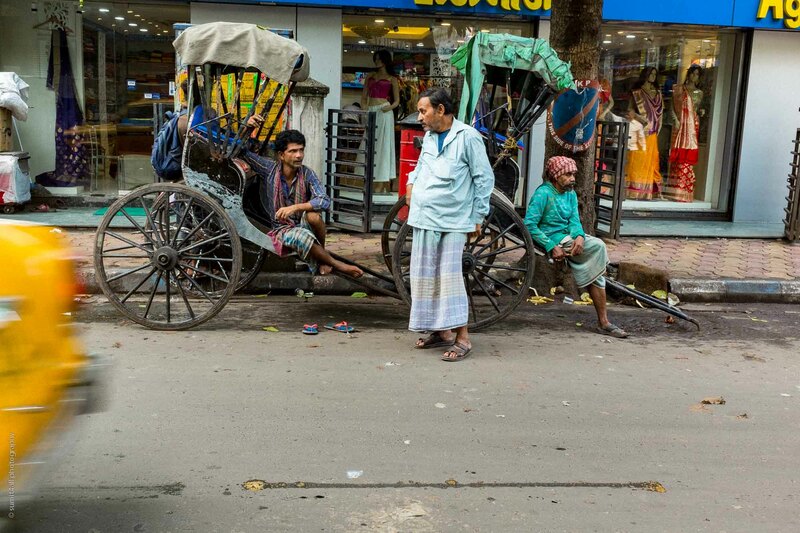 Business is slow during the afternoon hours, and the rickshaw pullers get a break. But they also wait for the oncoming evening rush hour. When you are tired, any place will do for a quick nap. 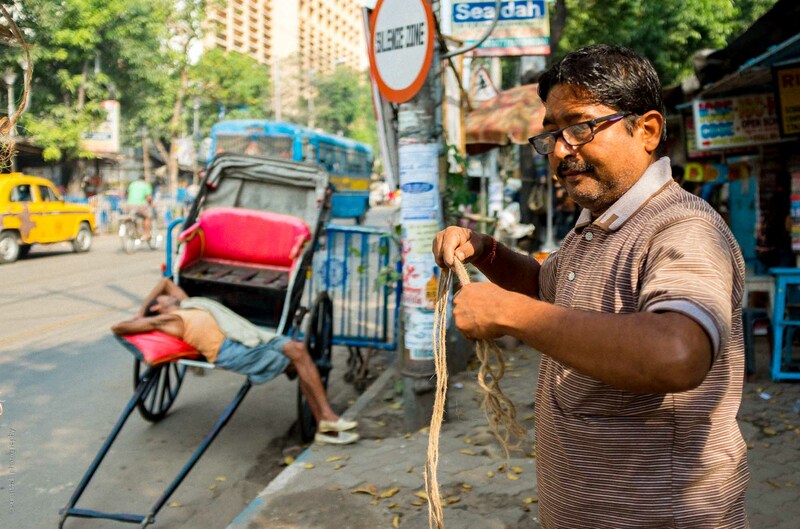 Most rickshaw pullers sleep on the streets or on their rickshaws during the night as well. Meanwhile, in other parts of the city, activity begins to pick up pace again and traders begin to shut down shops. Goods and materials are often moved between different vendors by manual labor. 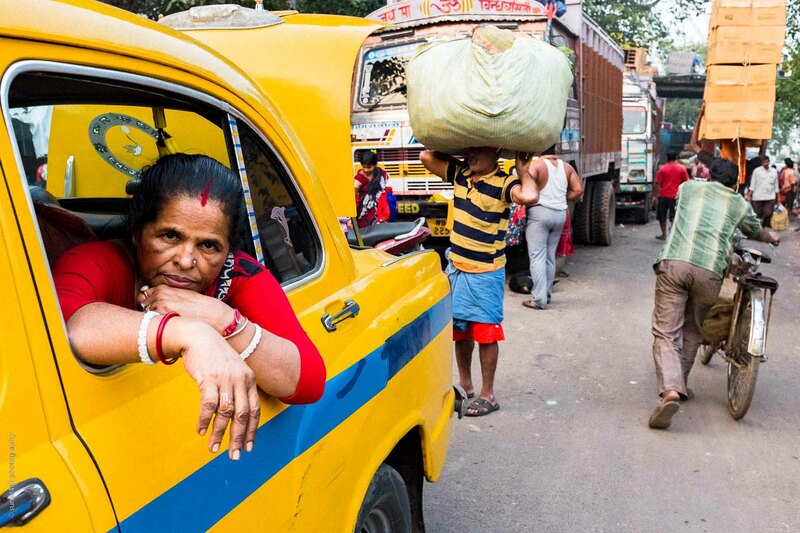 The iconic yellow taxi cabs define the city of Kolkata, and is a reminder of a colonial past. In the erstwhile British Empire, Calcutta (as it was then called) was the capital of India until 1911. 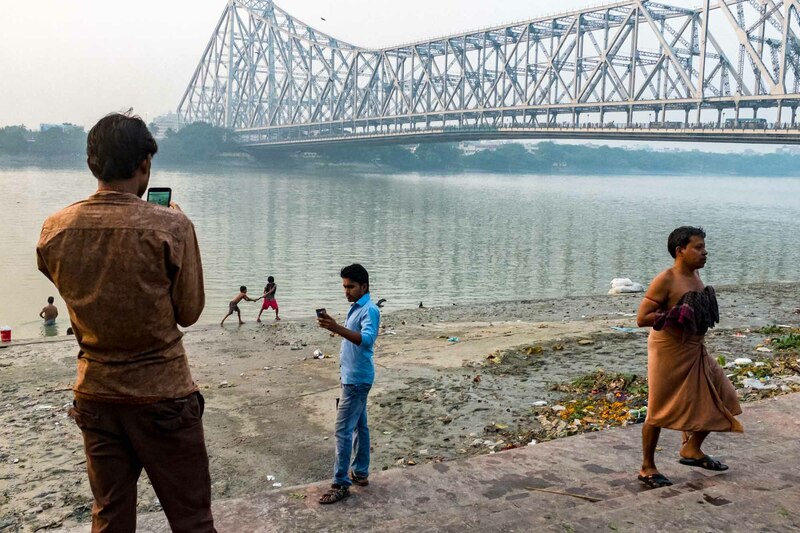 Back at the banks of the Hooghly River, the late afternoon brings provides an opportunity for kids to play while many tourists as well as locals gather to enjoy the view take a selfie as a souvenir. 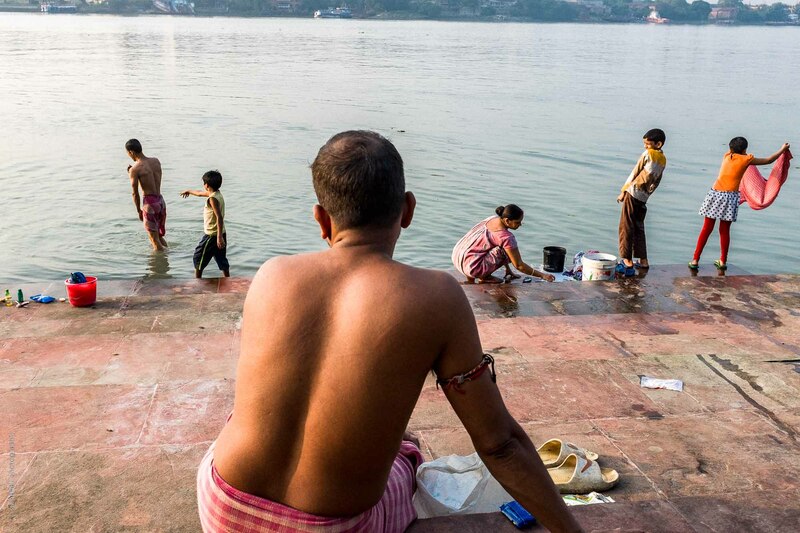 People bathe in the river to mark the end of another hot day at the ghats in Kolkata. 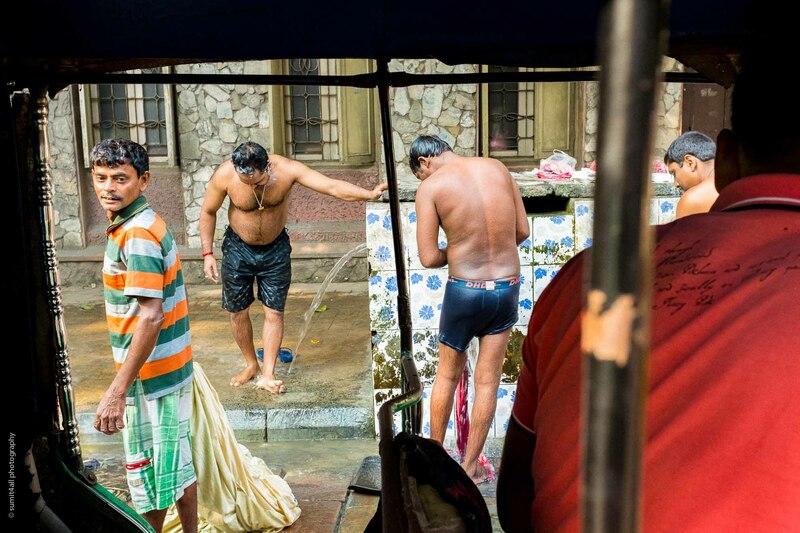 Women wash clothes while their children play nearby. For many, it is time to get home after a day of work. For the rickshaw pullers, the afternoon break is coming to an end. They get ready for the evening rush hour. 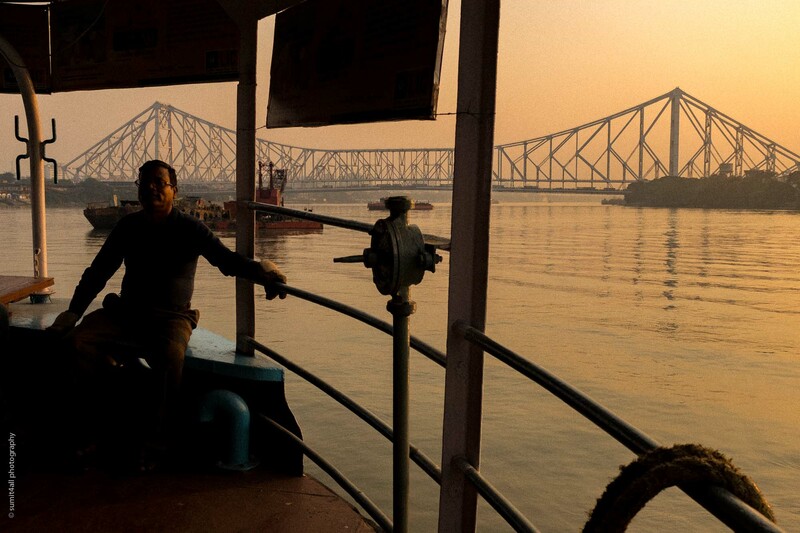 The fastest way to get to the other side of the city across the river is to take a ferry over the Hooghly River. The ferry ride also presents a beautiful sunset view of Kolkata. Fishermen cast their nets as the sun sets and the day is about to end. Many fishermen double up and ferry tourists over the Hooghly during the day. For many people, work continues late into the evening, and they get back home only after dark. 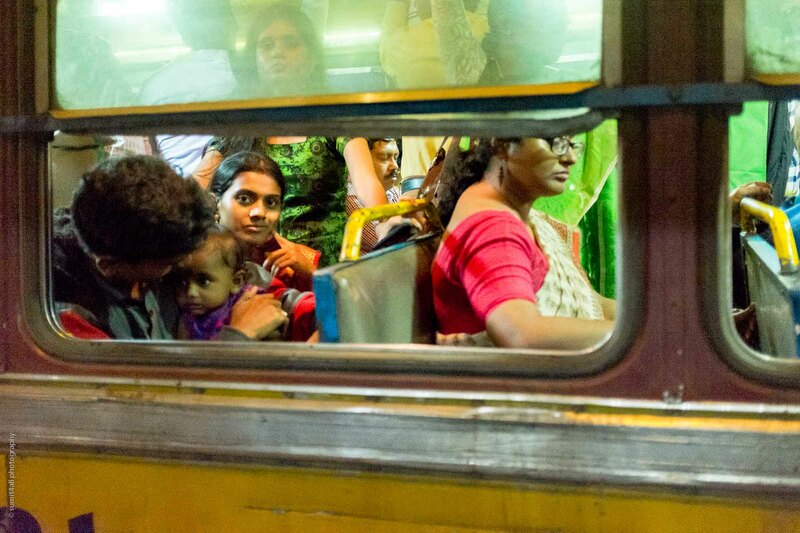 Buses and public transport are often crowded well into the night. You must hurry if you have to catch a train to another nearby city. 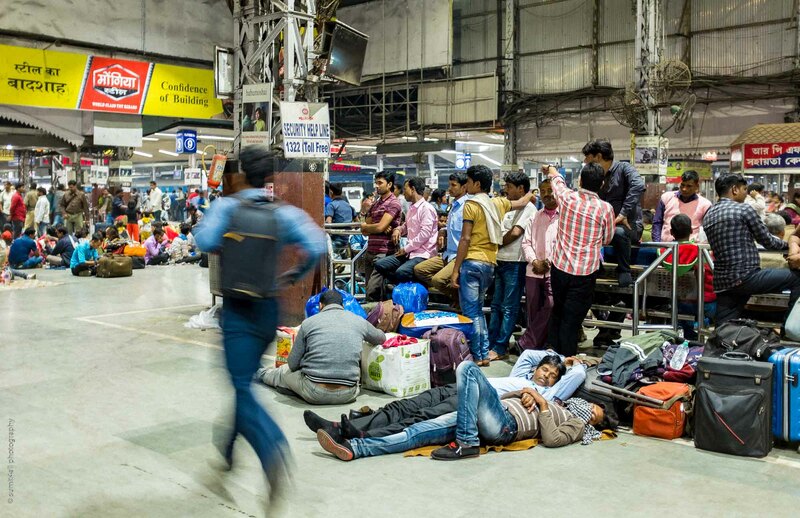 A lot of people commute daily to Kolkata from nearby small towns for work, and take the crowded trains back after dark.